exPress-o: How to soften butter in a jiffy! Fancy a nifty butter tip I've just learnt? Next time you’re about to bake cookies using a recipe that requires softish butter - that you obviously forgot to soften - just grab a thicker glass (like Pyrex), fill it up with water and microwave it. 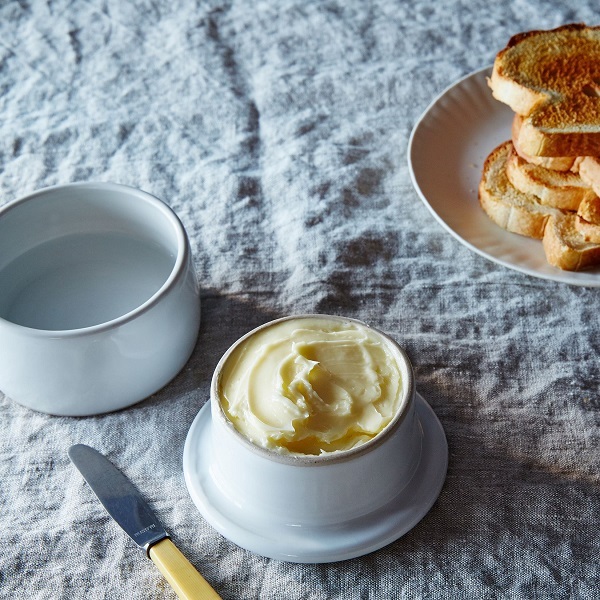 Pour out the water and place the glass over your cold stick of butter. By the time you mix all the dry ingredients, your butter will be soft enough to use. P.S: Also, this avocado ripening tip. P.P.S: Plus, a few more genius tricks you might like. Yes! I'm totally trying this next time! little luxury list, awesome! It works great - you'll love it! Nifty indeed! Thanks for sharing Diana! And here I've been microwaving the butter all this time!